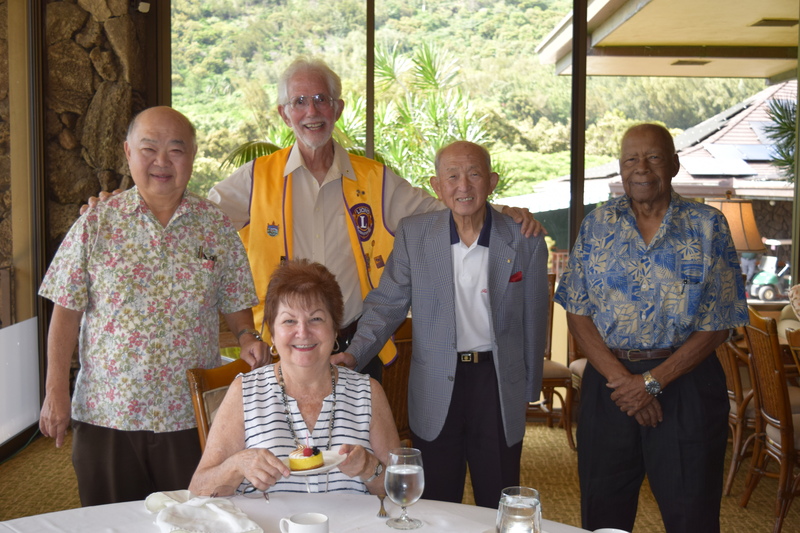 Part of our 90th Charter festivities included lunch at Oahu Country Club and dinner at Willows. 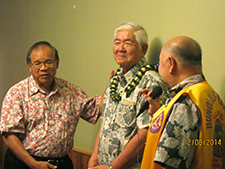 There was good food, drinks and fellowship with our visitors from sister clubs Hiroshima and Osaka Minami. 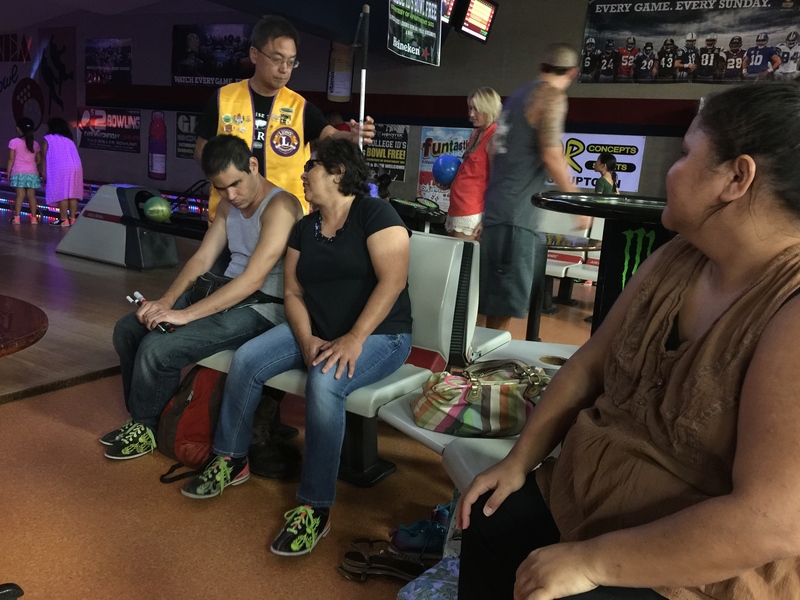 It was a great opportunity to spend more personal time with our guests prior to the gala event. 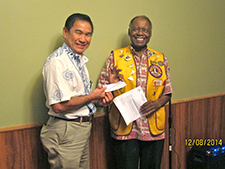 Lion Jean Ota and her Damien Leos continue to make an impact in the community with another successful food drive. 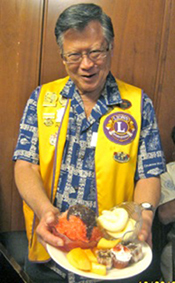 They collected boxes of Spam, corned beef, and toiletries for families in need. 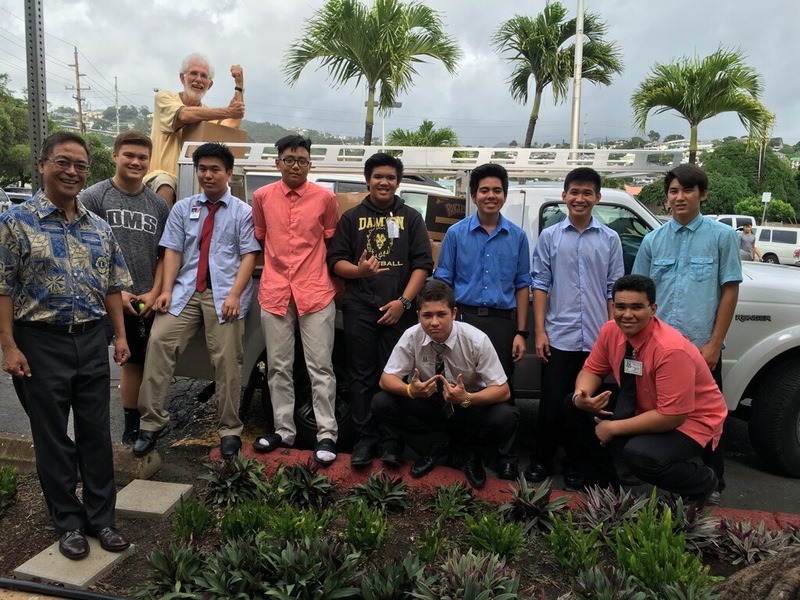 The food and toiletries were loaded up by a group of Leos and fellow Damien students and delivered to the Hawaii Food Bank by president Jack Schweigert and Lion Mick Laconsay. 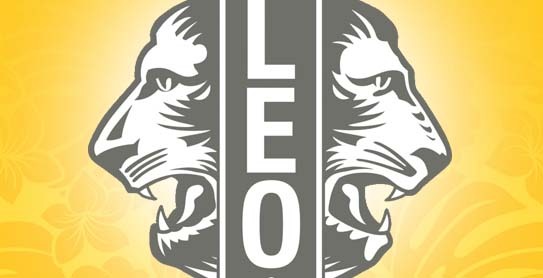 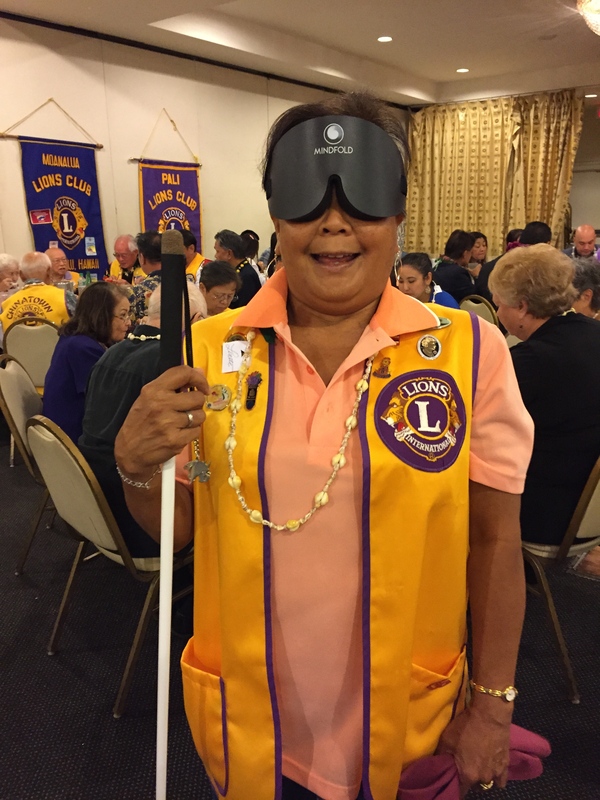 The Lions Club of Honolulu is proud to play a small part in assisting the Damien Leos for the second year in a row with this worthy community project. 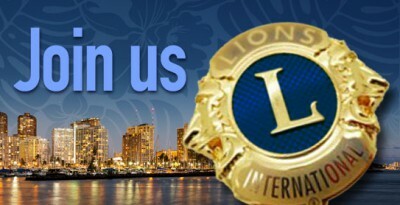 Join Us for Our 90th Charter Celebration!! 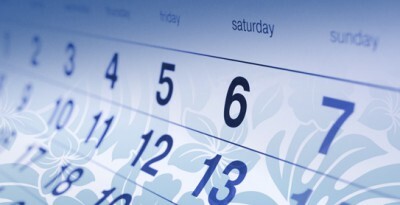 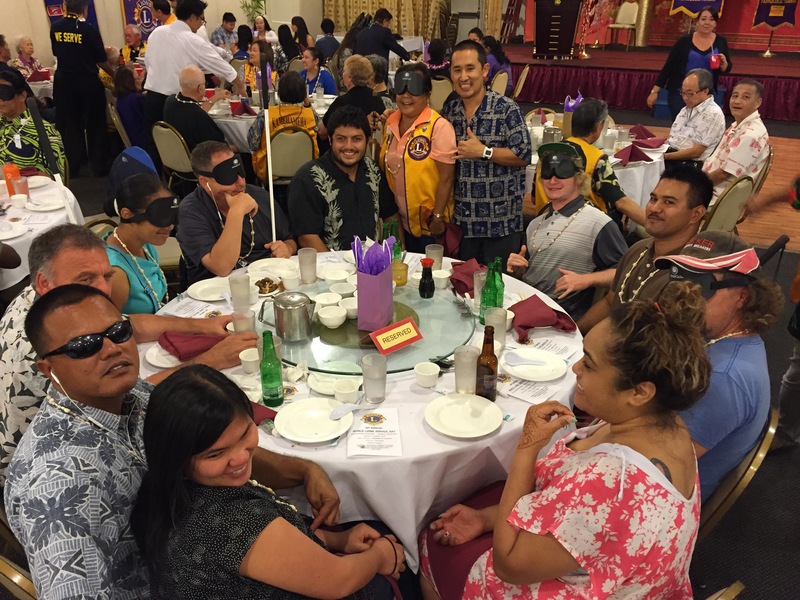 Enjoy a delicious 6 course dinner and entertainment by Frank De Lima. 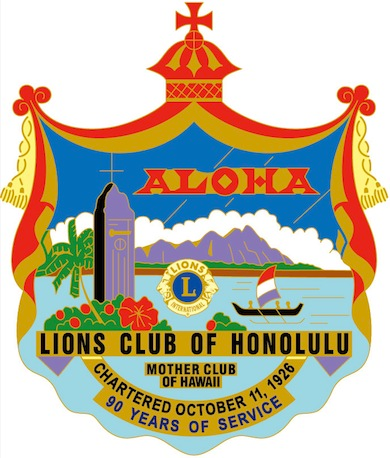 Please share this with your fellow Lions and let’s celebrate 90 years of service in Hawaii. 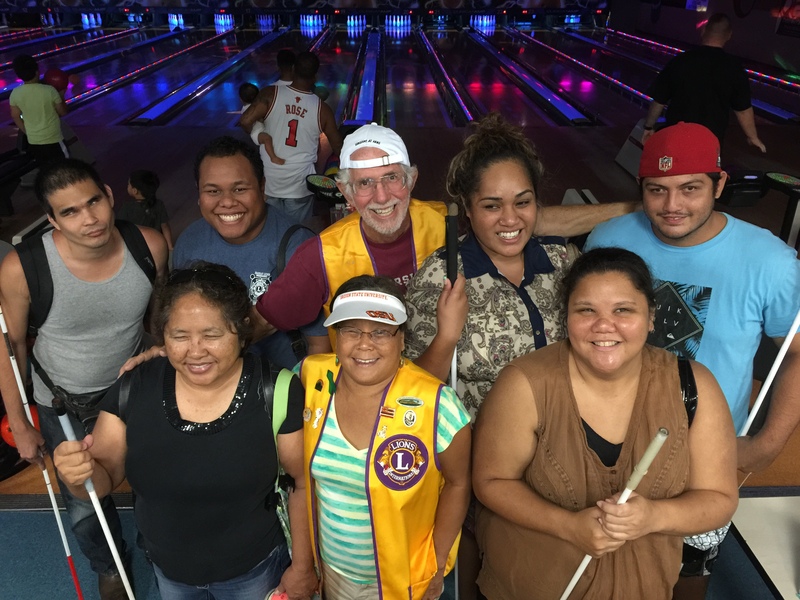 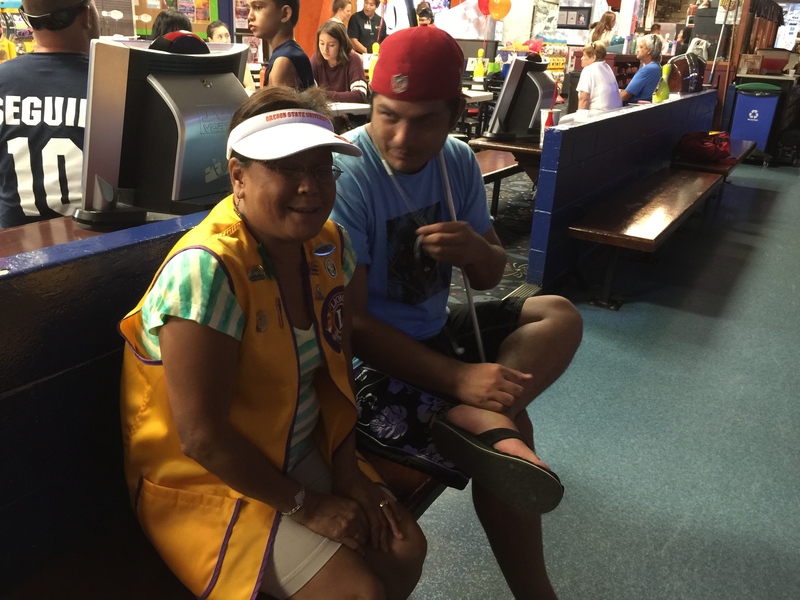 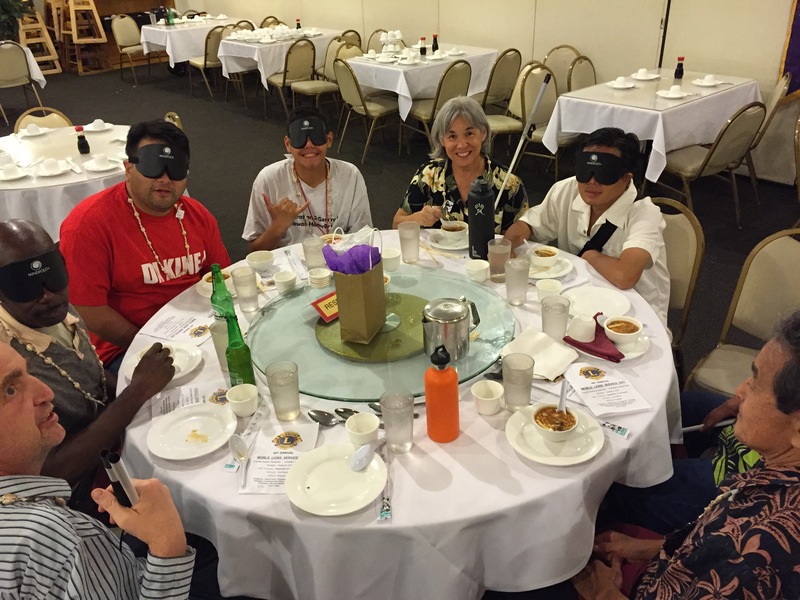 This past weekend we sponsored a bowling social at Aiea Bowl. 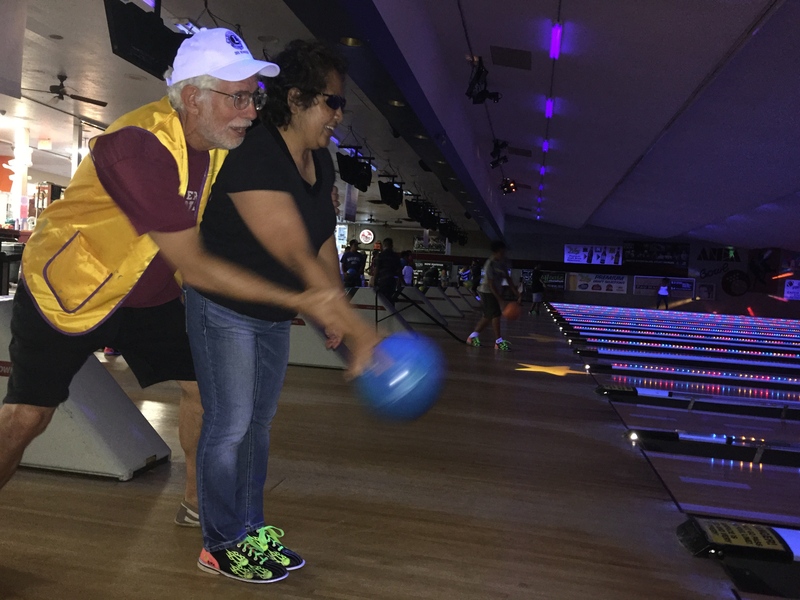 The bowlers and LCH members had a terrific time! 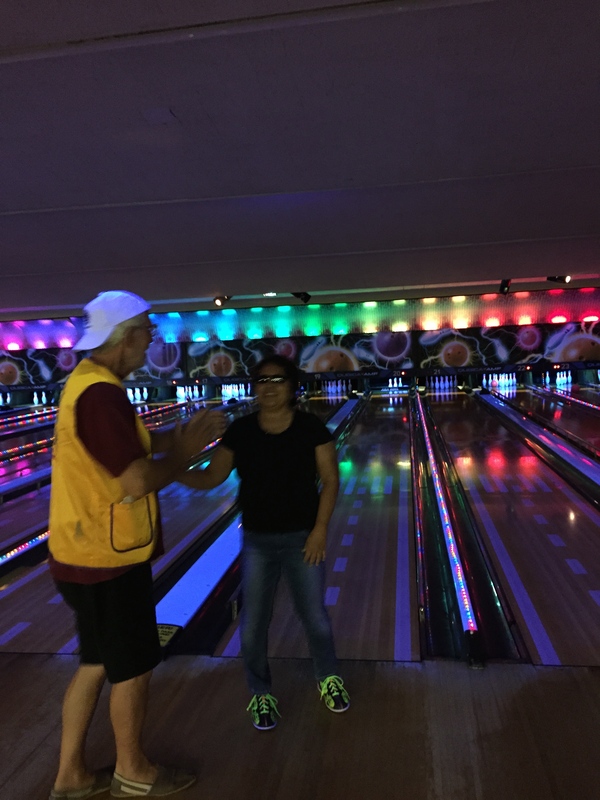 “The Alley” was very helpful and accommodative. 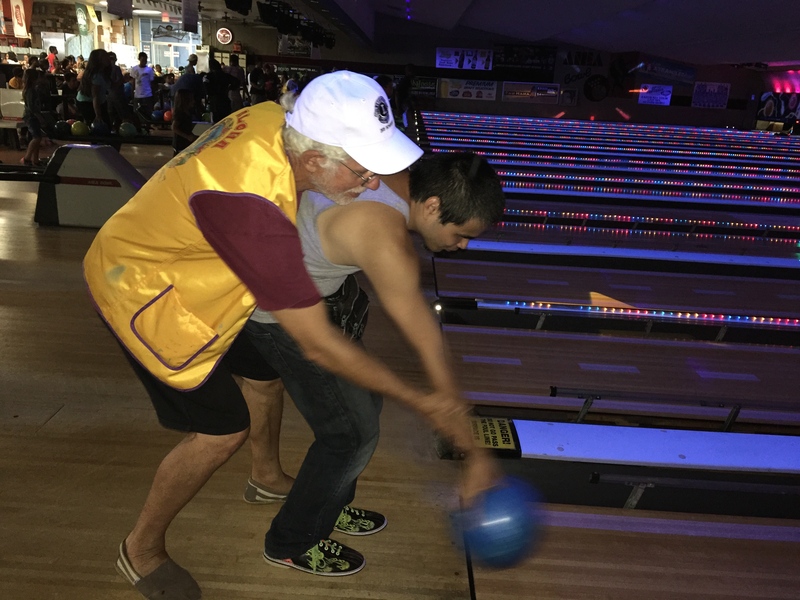 Big mahalos to Aiea Bowl and their staff!! 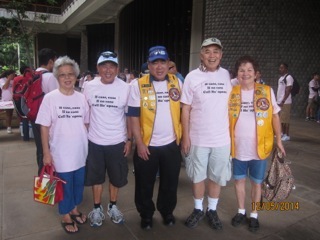 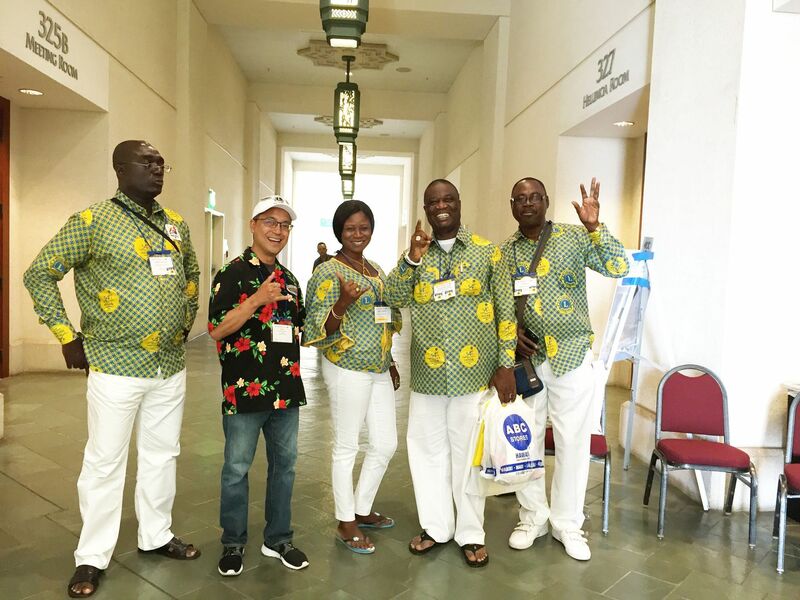 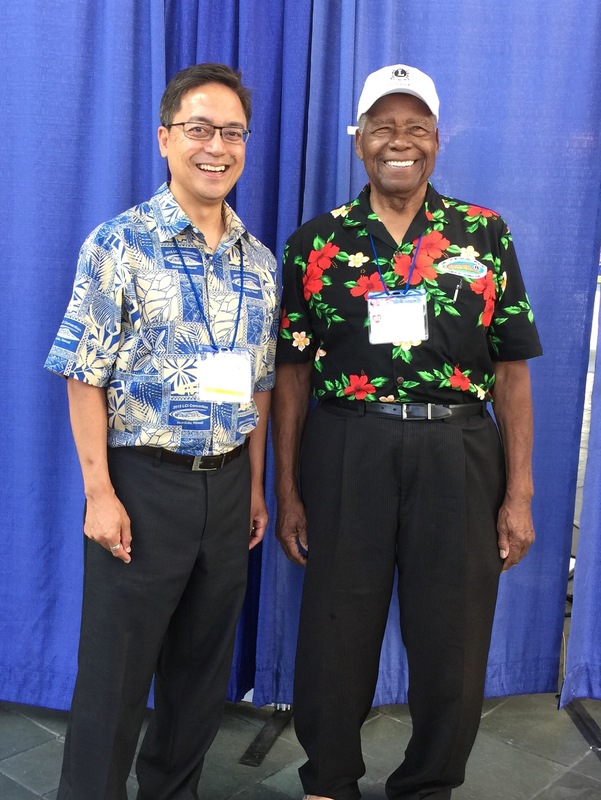 More than 20,000 members of Lions Clubs International and their families gathered in Honolulu, as part of the association’s 98th Lions Clubs International Convention. 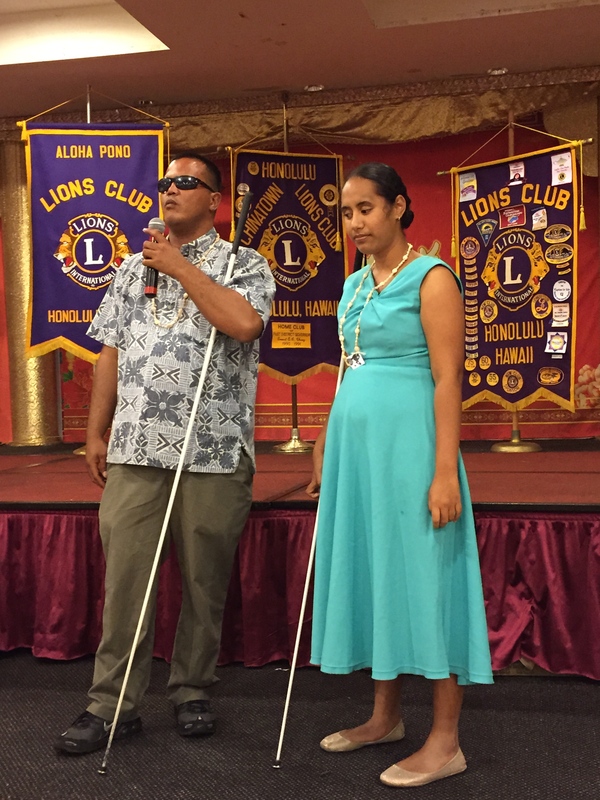 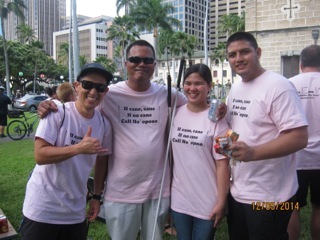 In 2006, Shannon Cantan joined four other blind teenagers and a pair of escorts from the state’s Hoo­pono Services for the Blind on a four-day hike across Hale­akala Crater. 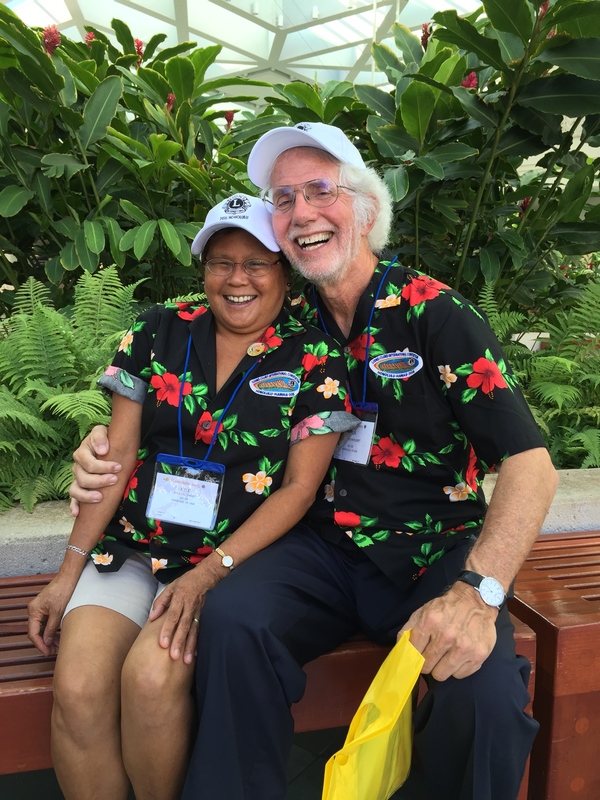 The ”Friendship Tree” is a beautiful tree that blesses many people with shade while they picnic in the middle of Magic Island. 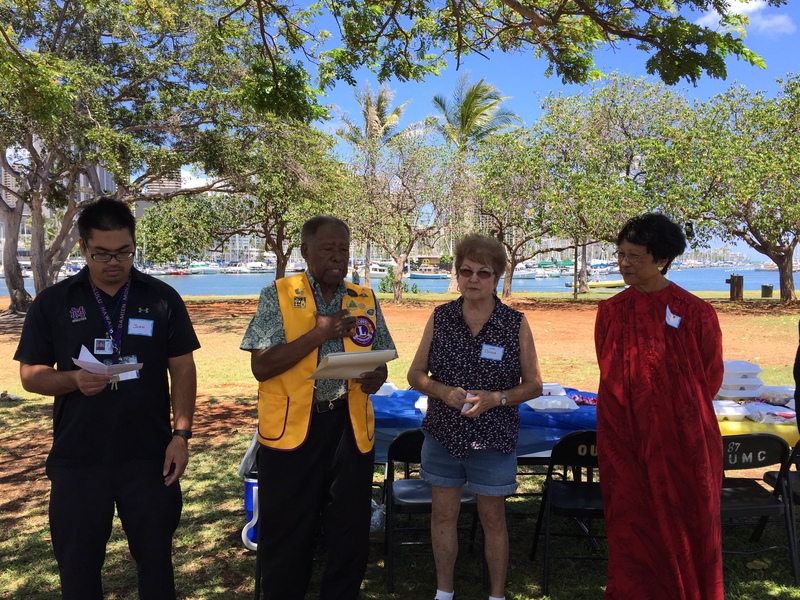 It started as a small tree in 2001, when our four sister clubs from Japan and the Lions Club of Honolulu planted the monkey pod tree on October 26, 2001, a date that matches the 75th Anniversary of the Lions Club of Honolulu’s Charter. 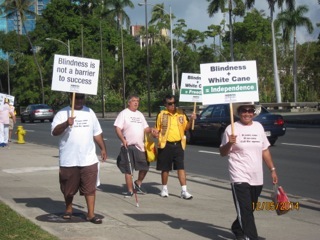 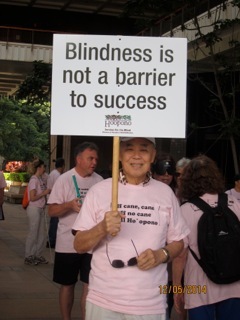 It was bright and comfortable the morning of December 5, as everyone was gathering in the Capitol Rotunda to begin the annual “White Cane Walk for 2014”. 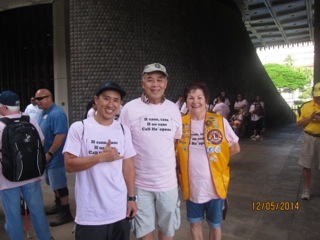 Although the walk had been postponed from its original date in October due to Hurricane Ana, everyone that morning was full of energy and ready to roll! 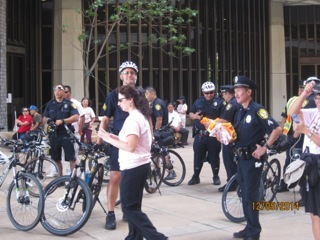 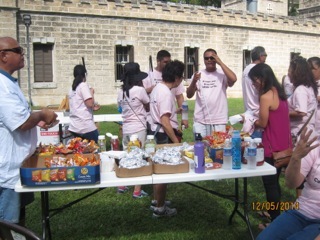 The light pink “Walk” t-shirts added just the right touch for our unity. 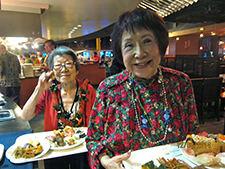 Wow, what a Christmas party the LCH celebrated at Tsukiji’s, at Ala Moana Center. 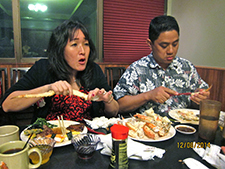 Dinner there will be long remembered. 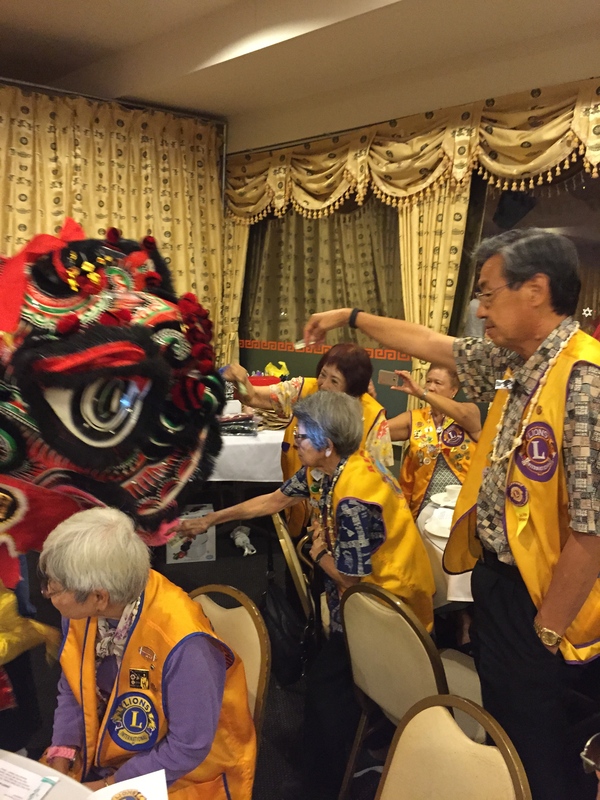 Coordinated by our ex-officio chairperson, Jeanne Liu, whose picture appears below, things that went on during our delicious dinner included PDG Bernard installing Mel Kong as a new member, bad jokes by “yours truly,” our Leo advisors Lions Jeanne Ota and Gayle Pai and President Bill keeping things running smoothly.